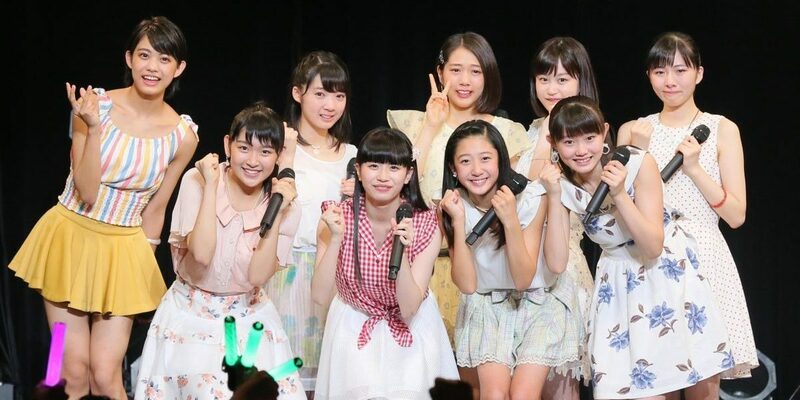 “Tsubaki Factory” is formed as a sextet unit in April 2015, it has also been carried out such as with the release of appearances and in-Day’s single to the event so far. Joined by three members of Ono MizuhoAyumi-Onoda Shashiori-Akiyama Makotoitoguchi of new members in August of this year, just became a new system. In the event, as soon as you stand on the stage trying to show off for the first time of the performance become the nine system, Saki Shimizu’s “Hello! Project Advisor” appeared. Members of the camellia factory is in to show the expression of confusion, he told the news of the “major debut decision!”. Members who raised the cry of joy or collapsed on the spot, or hugging, tears gradually from the incredible and rounded eyes were overflowing. Shimizu, “I think it has been much watched everyone’s growth, are certainly amazing growth. In the past also, but I think I’ve overcome a lot of walls, a larger wall when it comes to debut are several waiting . I support you and fan of us in, the staff, to overcome it in the strong ties of the members to each other, to fulfill the dream of as a camellia factory, I want to become a large group “and sent the ale. “Because thanks to everybody. Fans were surprised to really, thank you,” Riko Yamagishi of the group leader and said the words of gratitude. Small piece Lisa’s sub-leader “to subscribe new members, want to be a group that Ikeru out in the future more and more power,” was talking about the aspirations and. Yumeno Mr. Kishimoto while clog the voice in tears, “I’m happy because we’ve been working hard towards a major debut. Again tightening care, I want to work hard in the nine” was not enthusiastic with. On this day, six people that have subscribed to newly haloprogin trainees was also carried out the unveiling of (Fumino Kawamura, Reina Yokoyama, Yamazaki Yumewa, Marie Yoshida, Nishida Shiosato, HashiHasama bell). Appeal to Kochi Prefecture hometown eldest sophomore Fumino Kawamura high school is a “feat that judge bonito”. It had further happily shining smile and is referred to as “I-ish adult” from Masato’s moderator (Sharan Q). At the end of the performances, the next trainee recital in December, Osaka (11 days), Tokyo (18 days), it was also announced that takes place in Nagoya (23 days).